These days cell phones are used for more than just making and receiving phone calls. A cell phone can be used to maintain a personal calendar, track activity level, and according to one Michigan Court, even to make a will. In a recently published Michigan Court of Appeals opinion, the Court held that an electronic typed note on a cell phone constituted a valid will under Michigan law. The decedent, prior to taking his own life, left a handwritten journal entry which provided instructions on how to find a note on his phone. This note only existed in electronic format and within the note the decedent provided for the distribution of his assets, among other things. The court found that the note was neither a formal will nor a holographic will. Instead, it was determined that the proponent of the note established by clear and convincing evidence that the note was intended to be the decedent’s will. The contents of the note made it clear that it was intended to be read after the decedent’s death and it provided for the distribution of his assets, his wishes in regard to his funeral, and apologies for his suicide. While the decedent’s wishes were ultimately followed in this case, the fact that the decedent did not follow the formalities for executing a will left the determination of how to distribute his assets up to the discretion of the Court. In the above described case, the decedent’s family incurred the time consuming and expensive process of probate litigation to determine if the note was in fact a valid will. The only way to ensure that your wishes are properly expressed and followed after your death is to satisfy the formalities for preparing and executing a valid will, as set forth in the Michigan statutes. An experienced estate planning attorney will be able to draft your estate plan in such a manner to meet the requirements of Michigan law. If you need assistance drafting an estate plan that accurately reflects your wishes, contact Verity Law at 616-258-7240. Written by Verity Law Associate Attorney Lisa Roelands. As the school year is wrapping up many students are preparing to leave home for the first time to attend college in the fall. One task that probably is not on their back to school list is meeting with an attorney, but it should be. Families should meet with an attorney prior to college to prepare for unforeseen medical and, or, financial circumstances. Imagine receiving a phone call that your child has been hospitalized. You rush to the hospital and inquire about your child’s medical condition only to find out that the doctors are not authorized to share any information with you. Unfortunately, this situation happens all too frequently. In the state of Michigan a child is considered an adult at the age of 18.This means that, unless certain documents are in place, the parents lose the authority to gain access to medical information about the child. The fact that you, as the parent, are providing the child with their health insurance is irrelevant, you will still not be privy to their protected health information. One way to avoid this situation is for the child to execute a patient advocate designation. This legal document allows the child to appoint an individual to make medical decisions on their behalf in the event of they are unable to make medical decisions. In addition to granting the ability to make medical decisions, the document can also provide caregivers authority to share information with a child’s parents. 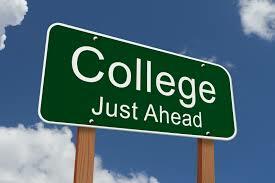 An additional document that college age students should execute is a financial power of attorney. This legal document allows the parent to act on the child’s behalf to make financial decisions if the child is unavailable. Consider an example where your child is studying abroad, or attending school out of state. If banking or other financial activities need to be undertaken or your child is required to execute legal documents, the parent can use the power of attorney to act on the child’s behalf and avoid many stressful situations with a little advanced planning. If you have a child who is turning 18 or heading off to college soon, contact Jay Rosloniec or Lisa Roelands at Verity Law at 616-258-7245, to discuss options for dealing with potential issues when your child leaves for college. The simple answer, yes. A will is the legal document that allows you to direct how your assets will be distributed after your death. Even if your estate plan requires more than a will, the will is the foundation of your estate plan. Failure to have an executed will can result in the State determining who is entitled to your assets through a process called intestate succession. For example, most married couples prefer their estate to pass to their surviving spouse. Intestate laws divide up the property between your spouse and your children. For many families this can create a number of issues. What if the share that passes to your spouse is not enough for them to live on? For those with minor children, additional questions arise. For example, who will be in charge of your children’s funds and how will your spouse access those funds if they need the funds in order to make ends meet. Having a will in place will give you and your family peace of mind when you pass. Your family will know exactly how the assets are to be distributed so the will can reduce the risk of friction within the family. Many times when a family member passes away, emotions are high and uncertainty over who is entitled to what can lead to fights within the family. These fights likely can be avoided by putting together an estate plan that specifically lays out who is entitled to the assets. Some people believe that they can avoid putting a will in place by naming individuals as joint owners of accounts and property. This often is not the best way to go. While it may avoid probate, the individual who is named as the successor or joint owner on those items becomes the sole owner after you pass. Maybe you hope that your child will divide the property with their siblings after you’re gone, but they are under no obligation to do so once they become the sole owner. This type of planning is ripe for leading to disputes and possibly litigation between family members. The best way to ensure that your estate passes according to your wishes and to avoid future conflict between your family members is to put together an estate plan. If you would like to learn more information about estate planning, contact Verity Law today! Verity Law will walk you through the estate planning process step by step to put together a customized estate plan for you. Have you ever considered what will happen to your pet if you were to pass away? Your pet will already be under a considerable amount of stress since their companion is no longer living, and without a plan in place your pet might end up in a shelter, on the streets, or worse. Thankfully, there are legal documents that you can put in place in order to provide for your pet after you are gone. You may have provided for your pet in a will, but unfortunately this is not an effective mechanism to ensure your pet is cared for. 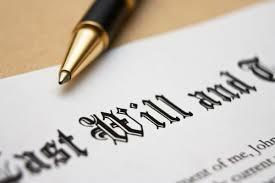 A will does not go into effect right away and it can take time for your will to be found and administered. In addition, pets are considered to be property, and thus, money cannot be left directly to a pet through your will. You may be wondering, if you cannot leave money to your pet through your will, how can you make sure your pet is provided for after your death? The best way to ensure your pet is cared for is to set up a pet trust. 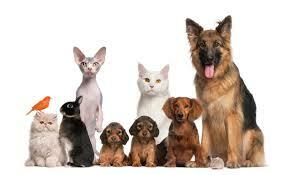 A pet trust allows you to allocate money for the specific purpose of providing for your pet’s maintenance and care. A pet trust also allows you to provide specific instructions on how to take care of your pet. These instructions can include everything from a feeding schedule to listing your pet’s favorite toys. When establishing a pet trust, there are some important considerations to think about. Perhaps the most important consideration is who will be appointed as the caretaker of your pet. You will want to choose someone who is going to provide for and love the pet like you do. The next important issue to consider is who you will appoint as the trustee to distribute the funds to provide for the animals care. It is wise to have a separate caregiver and trustee to provide checks and balances. Another important consideration is how you are going to fund the trust. The trust should be funded in a very mindful way. At first glance, it may seem like a good idea to provide incentives for keeping the pet alive for a long period of time, but the caretaker may keep the pet in a state of suffering in order to capitalize on the incentive for as long as possible. Additionally, it is unwise to leave the remainder of the trust funds to the caretaker. While you may think this would be a nice gift after caring for your loving pet after your passing, you may be inadvertently encouraging your caretaker to skimp on the level of care and comfort your pet is provided with. The items listed above are just a few of the important considerations to keep in mind when planning for your pet. To ensure that your beloved pet is cared for after your death, contact Verity Law. We will walk you through the various considerations you should be aware of and ensure that you have a plan customized for your pet and its specific needs.